Oh, how I love the crispness of a new year. For me, it is the perfect opportunity to reflect on the past and to set intentions for the future. I don’t know about you, but 2017 has been a big year! I have seen this in my own life, in global events and for the many clients I work with. To be honest, I’m glad 2017 is over! But for all the ups and downs of the past year, I know that 2018 can only get better, and I plan to make sure it is my best year yet. I’ll make this happen by setting goals and intentions. And what are my goals and intentions you ask? Well, you may be surprised to hear that my most important goal for 2018 is not exercise, breathing or eating well, but continuing to help myself by helping others. Have you started setting your intentions for 2018? Are you planning a new adventure, a new business or a new relationship? Whatever your goals are, you are sure to find a deeper level of nourishment if you include the simple act of giving to others as part of your goals. Setting a goal to make others happy may be the best thing you can do to ensure that you are happy. Has the closing of 2017 left you feeling a little lost? Don’t worry, you’re not alone. Our brain and body are often easily influenced by the silly season, but they are also our most powerful tools and thankfully we have the ability to bring them back into line. It is easy to lose direction when it comes to our emotions, our actions and our thoughts especially when we are super busy and under stress. If you’re looking for a way to reset your body and brain and reduce stress, then I encourage to include goals for giving back as you set your intentions for 2018. Why? Because it makes us feel good, that’s why! When we reflect on ways to give to others, we calm our nervous system and reduce the stress response. So why not start a new habit this year, a habit of giving to others. Creating a practice of giving to others whether in your community or family can reshape your life. My New Year’s goals have always revolved around health and wellness. But over the last decade, I have included goals for giving to others. I have found that the act of giving has provided me with so much joy throughout the year, that I find myself wanting to do more. And as a bonus, the joy that giving back to society or others has brought has made me happier and therefore made it much easier to stick to my health and wellness goals. It’s a win-win! We all need to feed our soul by finding the things that bring us joy. You may think this is selfish but it’s important to put yourself first if you want to have anything left to give to others. 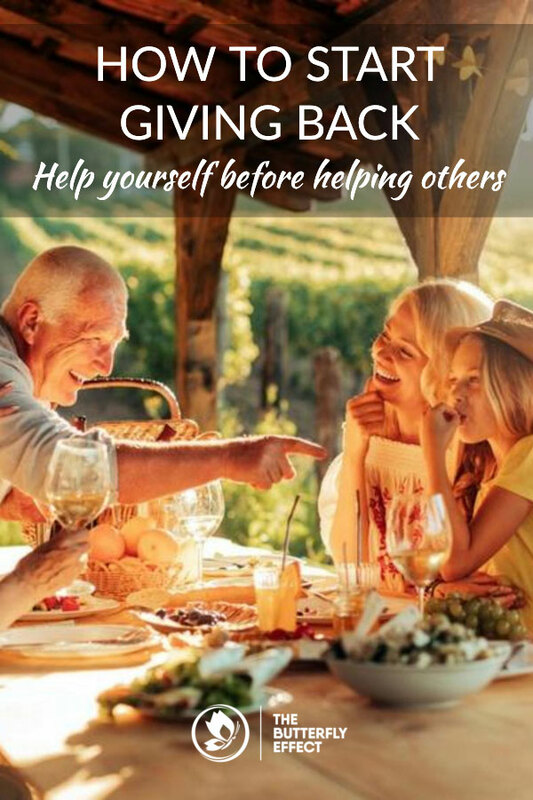 Years ago, I worked with a life coach who pulled me up on my habit of giving to everyone else in my life first – staff, husband, children and family – leaving nothing for myself. The result, of course, was that I was left rundown, fatigued, unfit and lacking my usual spark for life. Your first step in learning to give to others may actually be to put yourself first. If you are a mum, why not try ditching the guilt and instead take time out for yourself. Ask your partner to step in, organise a play date or book a babysitter and take a few hours of your day to hit reset. Everyone around you will benefit. We are not designed to live in isolation. Communities provide us with nourishment through support and care. I live in a town of just 400 people (and the same number of horses!). We have a strong community because we all rely on each other. And while I always feel that I never have enough time between running my own company and my young family, I still make an effort to carve out time for the community. But no matter how big your town is, all you have to do is get involved and the magic will happen. The simple act of getting out and connecting with others will help fill your goodness tank for weeks. It is a sure-fire way to reduce stress and build a stronger support network, critical elements of happiness. How could you get involved in your community for 2018? There are many ways to give, but I believe that serving others is the most powerful way. What would your life feel like if you regularly offered the gift of service to another person without being asked? What joy would you bring that person? I talk a lot about stress response and reducing the impact of stress triggers. Performing an act of service creates happy hormones and produces a ripple effect around us. My go-to gift of service is providing food for others. I might put something in the food bank or bake a meal or a cake for a friend in need. I feel great joy when I am in the kitchen preparing food for another person. What could be your act of service for the month of January? Our words can be powerful when it comes to giving to others and I encourage you to give praise to others throughout the day and see how that changes your reality. Why not stop, pause, breathe and take a moment to set your wellness intentions for 2018. Do you know your language of love? You may have someone special in your life whose language of love is time. Taking time to stop and pause with loved ones is a wonderful intention for 2018. It’s not easy to slow down (I personally struggle with this every day), but I encourage you to try it so that you can become present in the moment and connect with those around you. By giving others your time you open up the opportunity for communication and connection, something that we thrive off as human beings. And the best way to be emotionally available for others is to give yourself permission to take time for yourself. Over the next 12 months how will you give yourself the gift of time? Oh, I love this intention! For me, the gift of food is so rewarding. And no. I’m not talking about pigging out on chocolate, I’m talking about rewarding yourself with food that nourishes your body, mind and soul rather than numbs it. Food addiction is an epidemic in our society and contributes to obesity and many of the preventable diseases we see today. To change a food addiction, it is important to look at why there is a need to feel numb. When we are sad or upset, our brain searches for a way to make us feel better. Food is a way to release happy hormones during times of stress. But it doesn’t have to be this way. Work on being kind to yourself in other ways. Find an alternative like calming the body with yoga or breathing to break the cycle of addiction. Instead of seeing food as a reward, we should see it as a vital fuel source that delivers the building blocks to help us grow, sleep, play and enjoy life. We don’t need diets, restrictive food regimes or fancy methods of cooking. We just need to listen to our own body, hear the cues it is giving us and provide what it needs at that time. The flip side to changing your relationship with food is discovering a love for creating food for others. I get my kids involved with this. I love seeing how they benefit from cooking something delicious then giving it to friends or family. The simple act of giving some homemade cookies can help spark a conversation that otherwise may not have happened. How could you shape your relationship with food in 2018 and give nourishment to yourself and others? There are so many ways you can reach out and be kind to others. It may be a simple smile for a stranger. It may be baking a delicious surprise morning tea for your work colleagues. Or it could be reaching out to a friend to see how they are doing and taking time to listen to their response. Our words can be powerful when it comes to giving to others and I encourage you to give praise to others and discover how that praise can change your reality. Why not stop, pause, breathe and take a moment to set your wellness intentions for 2018. I’d love to hear what your 2018 intentions are. Leave a comment or jump over to our Facebook page to share with us. 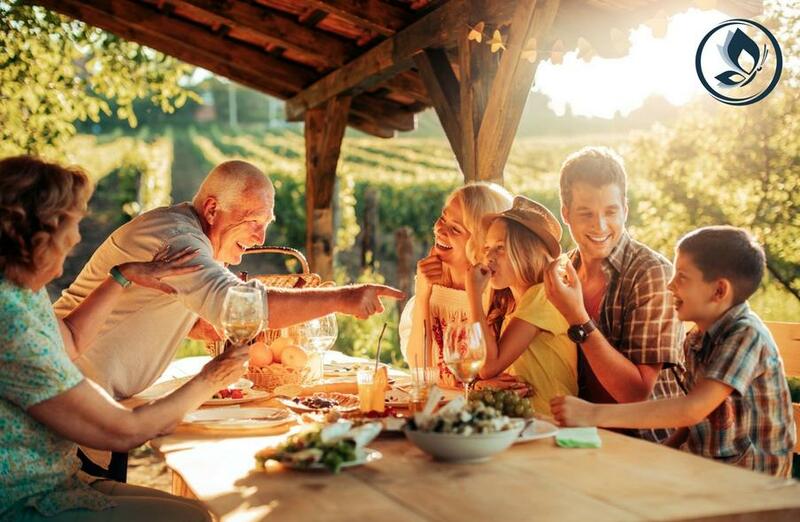 Become accountable by sharing your intentions with family and friends. Make 2018 your best year yet! 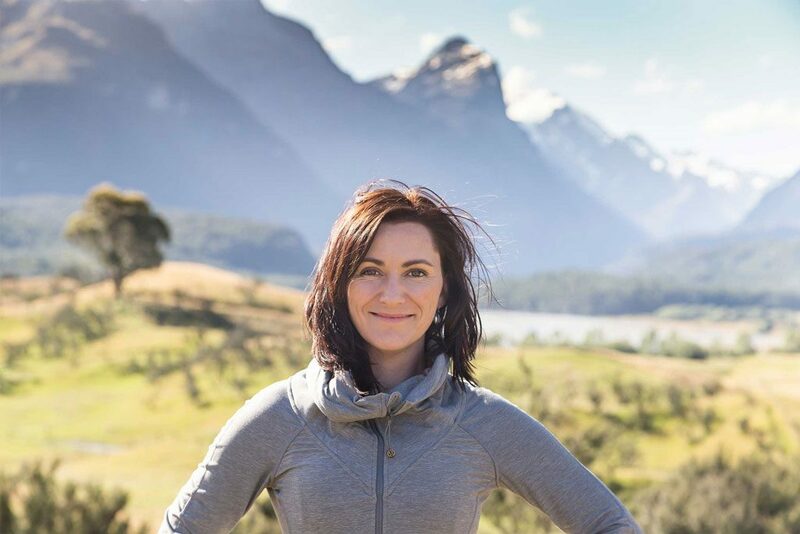 Emma Ferris is known as a breathing guru and is the creator of The Big Exhale 30 day breathing course. She’s also called wellness nut, entrepreneur and a woman on a mission. Drawing on a 12-year career in physiotherapy, as well as expertise in pilates, acupuncture and stress management, Emma Ferris is teaching the world to find their calm and stress less at The Breath Effect.